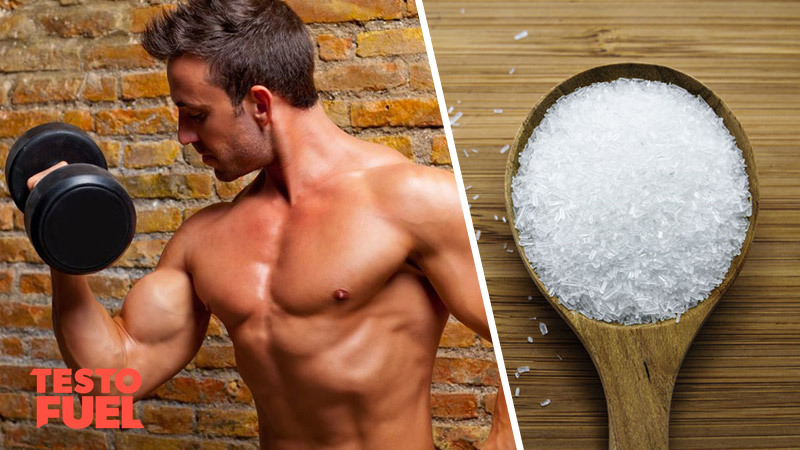 Does MSG Kill Your Testosterone? You’ve decided that you want to improve your physique – to build some lean mass, shred fat and improve your confidence. And that means hitting the gym hard and eating clean. But with so many foods now containing the controversial flavour enhancer MSG; could your dietary choices be killing your testosterone, not boosting it? In this article we take a look at the effects of this added ingredient on your male hormones. Should it be one food to avoid? Monosodium glutamate or MSG is a flavor enhancer made from the sodium salt of glutamic acid. It is approximately 80% free glutamic acid and 20% sodium. Invented in the early twentieth century, MSG first became popular in the 1950’s once it had been granted GRAS (generally recognised as safe) by the Food and Drug Administration (FDA). It is derived from starch, corn syrup, molasses or sugar cane  and is a popular added ingredient in Chinese food. What does MSG taste like? Even though MSG is used as a flavor enhancer, it has no taste at all. So why is it used as a flavour enhancer then? When we taste foods we use our tongue to identify basic flavors. These include sweetness, sourness, bitterness and saltiness. But we can also taste savory too. And it has to do with a taste called umami. When you use this fifth basic taste, you get a more fuller and heartier taste of savory foods. It magnifies the existing flavors and makes them more distinctive and robust taste. 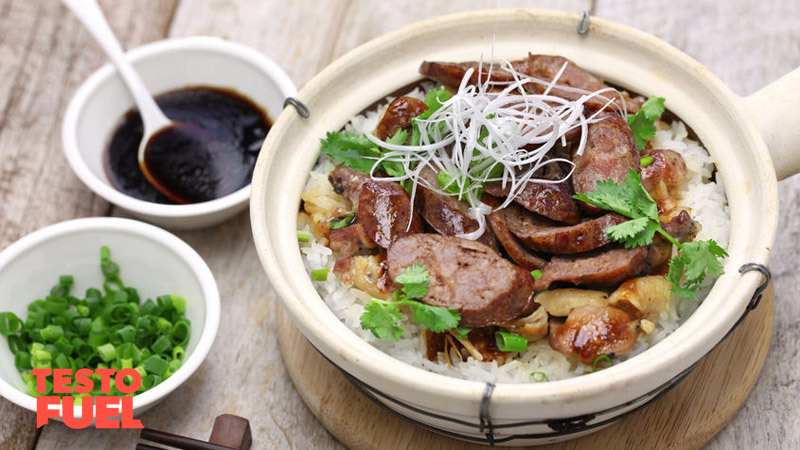 MSG has been likened to the taste of meat or broth so there’s no surprise as to the foods you’ll find it in. Key Point: MSG is a popular flavor enhancer in Chinese cuisine but is also used in many savory commercial food products too. Although it’s been granted GRAS by the FDA, there are many that believe MSG to be unsafe. That it can cause both short-term ad long-term side effects that could effect your health. Many believe that these side effects are caused by the effects of glutamate on your brain, your neurotransmitters and their corresponding receptors. Basically, it is believed that the flavor enhancer affect your central nervous system. Many people now refer to MSG as an excitotoxin because of its potential effects on nerve tissue. But is there any actual evidence for this? Known as the ‘Chinese Restaurant Syndrome’ , MSG has been blamed for everything from headaches to heart palpitations. People have reported nausea, chest and abdominal pain, face swelling and sweating from eating Chinese food containing MSG. It’s even led to the International Classification of Headache Disorders 3rd edition (ICHD-III beta) placing MSG on its list of causative substances. Although the side effects are temporary, this has led to an outcry from those who are against the use of the compound in commercial food products. But actual evidence of MSG toxicity is lacking. One of the only large systematic reviews conducted on the food supplement  found that out of seven studies using high doses of MSG in solution without food, four showed significant side effects. When MSG was ingested as part of normal dose in food there was not a single significant difference in side effects – and that was from six different research studies. 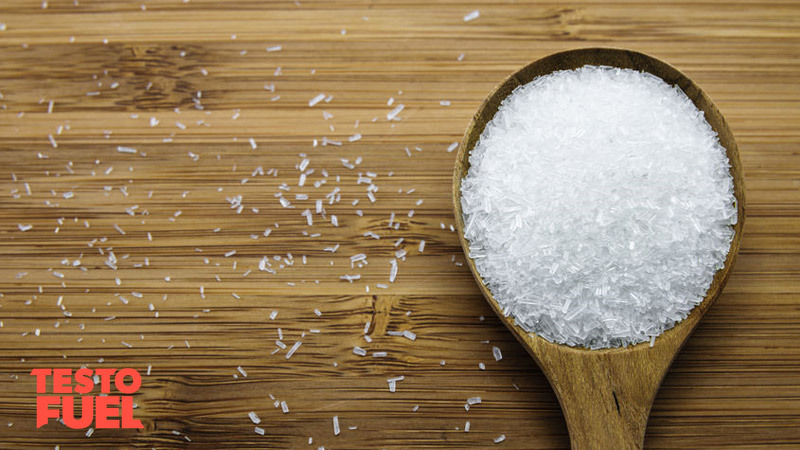 Studies have shown that MSG can increase the chances of long-term fat gain and obesity. In one study , Chinese researchers suggested that the more MSG was consumed in a sample of volunteers, the higher the prevalence of obesity was. Possible because the powerful flavor enhancer can switch off the appetite-regulating hormone leptin meaning you’ll eat more before you feel full. Think of this – you pop open a can of chips in an evening and quite easily eat the whole tube before you feel full. In reality you should feel fuller much sooner than the compound allows you to. And with belly fat and obesity being one of the main causes of low testosterone, it makes sense to think that lots of MSG in your diet might well blunt your T levels. Does MSG Affect Testosterone Levels? There’s no question that more and more men are suffering the effects of low testosterone. Loss of muscle mass and strength; a plummet in libido and the accumulation of belly fat are all signs that your male hormones aren’t where they should be. You’ll be tired, fatigue and lacking the motivation to make a difference. If so, then maybe monosodium glutamate could be partly to blame. Excitotoxins such as MSG could bind to special receptors in your brain causing them to overexcite and eventually become damaged. In severe cases it could even lead to neuronal death . And this may include androgen receptors too. Let’s not forget that testosterone production begins in your brain – the hypothalamus to be exact. It releases a hormone called GnRH which is then picked up by another part of the brain called the pituitary gland. From there, the pituitary uses a hormone called luteinizing hormone to fire down to your testes. And if the message is received, testosterone is made. But if any part of that communication trail gets interrupted then T might not receive these signals. One animal study from the journal Acta Medica Academica  found that when rats were given varying doses of monosodium glutamate over a 30-day period, testosterone levels fell significantly. However, it only fell at high doses of 3 and 6 g per kilogram of body weight, not the lower doses. Nevertheless, their reproductive organs were still sensitive to the flavor enhancer. This study used male West African Dwarf goats to assess the effects of MSG on luteinizing hormone and testosterone. Over a 28-day period, the goats were given varying doses of a monosodium glutamate solution ranging from 0.25 to 1 g per kilogram of body weight. By day 14, both libido and LH and T were lower than control recruits. In another rat study published in 2017, much smaller doses of 1-4 mg per kilogram of body weight were given to 28 rats over a 6-week period. But although the doses were much smaller than in previous studies, it still had an effect on testosterone. It also had a negative effect on muscle mass as well. “These results indicate that MSG may have disrupted the hypothalamic-pituitary-testes regulatory axis that controls testosterone production, and so resulted in lowered serum testosterone levels”. Key Point: Whilst there are no human studies to draw upon, animal research suggests that reproductive tissue may be sensitive to MSG – particularly at high doses. Monosodium glutamate is a flavor enhancer, popular in Chinese food and commercially prepared meals and snacks. It has the potential to contribute towards weight gain by inhibiting hormones that regulate appetite. However, the links between the compound and other side effects are less reliable. Animal studies show that MSG can lead to a reduction in luteinizing hormone, testosterone and libido. Without human research though, it’s hard to say for sure that MSG could kill your testosterone. But it doesn’t look good.